The Marquis of Waterford, a polo-playing pal and one-time team-mate of the Duke of Edinburgh, has left almost €8m in his will. John Hubert De La Poer Beresford left his stately home and estates at Curraghmore, Portlaw, Co Waterford, to his successor Henry Nicholas, the Earl of Tyrone. His sons Lord Charles and Lord James Beresford were bequeathed his polo ponies, and his groom, David Keane, was left a gelding of his choice from the Curraghmore stud. The last clause of his will specified that: "I wish to be buried in Clonegam before the hour of noon, the service not to exceed one hour." The 8th Marquis of Waterford died on February 11, 2015, at the age of 81 leaving an estate valued at €7,968,747. Born in 1933, he succeeded to the title and estates in Waterford at the age of one, after his 33-year-old father died in a shooting accident in the gun room of the family home at Curraghmore, which was built on an old castle belonging to the Power family, the origins of which date to 1654. The Marquis always believed that the Beresfords laboured under a family curse - the 3rd Marquis broke his neck in a hunting accident; the 5th shot himself; the 6th drowned in a river on the estate in 1911. Apart from his own father's tragic death, other members of the family died in unusual circumstances - there was a fatal railway accident, while another was killed by a runaway horse. A round tower erected on the estate commemorates the 12-year-old son of the 1st Marquis who was killed jumping his horse over a forecourt railing. Educated at Eton, 'Waterford' as he was known, became the youngest ever member of the Irish Turf Club. But polo was his real passion and for 12 years from 1960 to 1972 he played on the Duke of Edinburgh's Windsor Park team, becoming an intimate of the royals. His own Curraghmore team, made up of himself and his sons, enjoyed success at home and abroad. He was also a successful businessman and a director of the oil exploration company Kenmare Resources. In one tempestuous match in 1962, both he and the Duke of Edinburgh fell heavily when their ponies collided in Windsor Great Park. Shortly after, 'Waterford' was rushed to hospital with a deep eye wound when a ball hit by an Argentine player struck him. 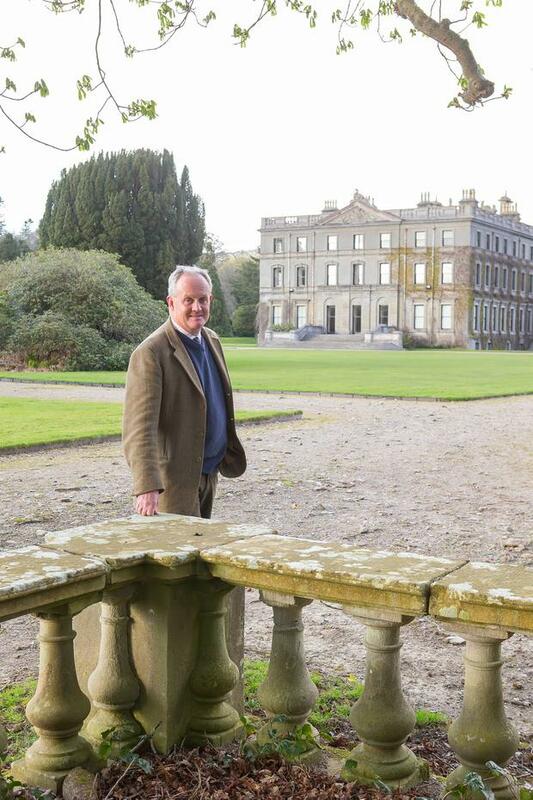 In his will, which went to probate in Dublin last week, he nominated his eldest son Henry as his successor to the 3,500-acre Curraghmore Estate, the title of Marquis and as governing director of the family interests. He left his three other children, Lord Charles, Lady Alice and Lord James Beresford €40,000 each as well as bequests to his grandchildren. He left all his personal belongings, apart from his polo ponies, to his wife Lady Caroline, originally Wyndham-Quin, younger daughter of the 6th Earl of Dunraven and Mount-Earl. He also left a pair of Purdy shotguns to his son, Lord Charles, his wine cellar to his wife and all the paintings bought during his lifetime, excluding Munnings' Early Morning Newmarket, to be divided among his wife and daughter. The will also specified that "as far as practicable" his wife was to remain in Curraghmore for her lifetime and he expressed a wish that his son Henry would take responsibility for the upkeep and maintenance of Clonegam Church and graveyard. Curraghmore House was originally a Norman keep but later was subsumed by a Victorian mansion. Landscaped gardens look out on 3,000 acres of land where the de la Poer family has lived for more than 800 years.